Hello, it's time for another Papertake Weekly Challenge. 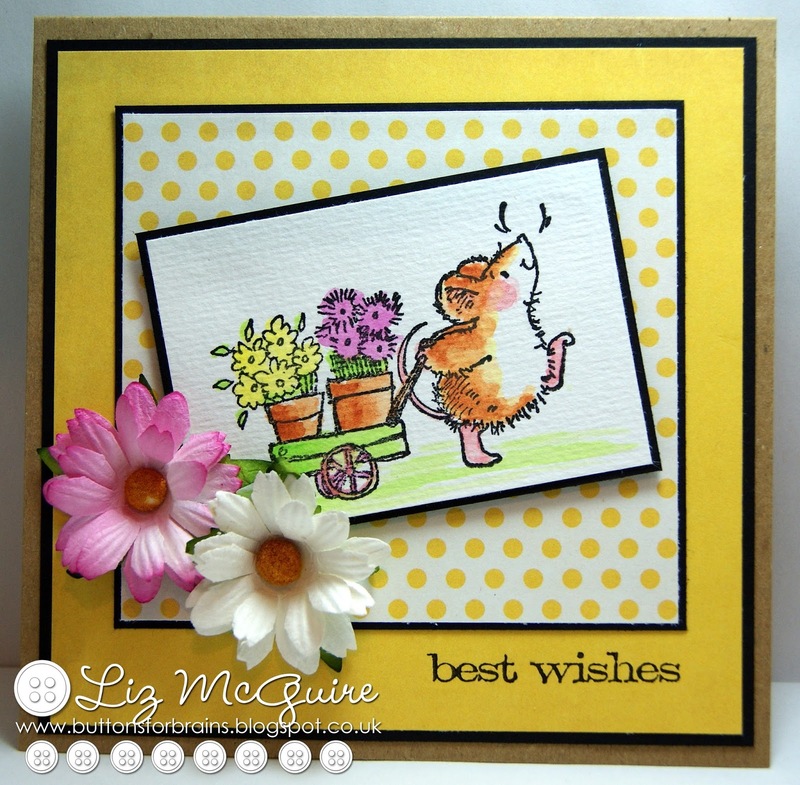 For my card I used one of my favourite Penny Black stamps 'scented garden'. I coloured with water colour pencils and the papers are 'parkbench' by FancyPants Designs. And those gorgeous flowers are available now over in The Ribbon Girl shop. For all the details on how to enter, for some gorgeous inspiration from my teamies and to find out who is last weeks lucky winner visit the Papertake Weekly Challenge. 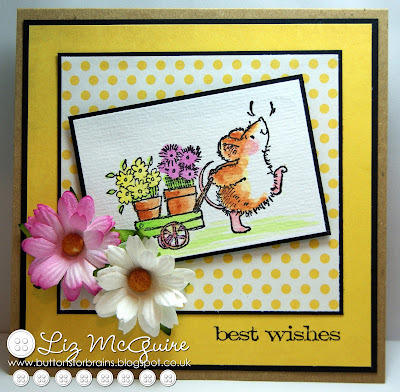 I love this Liz, such a lovely happy image and gorgeous colours too.